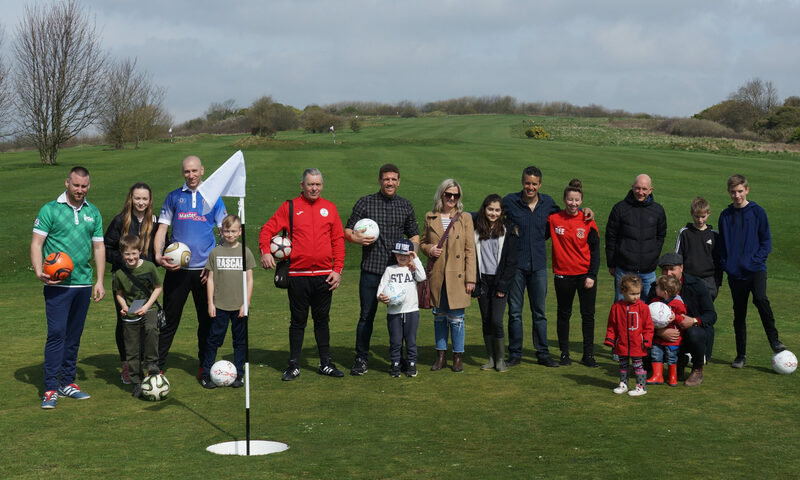 Footgolf is the perfect activity that can be enjoyed by everyone of any age and ability. That is what we believe at Brighton Footgolf. In December 2017 we were given the green light to breath new life into Benfield Valley golf course. Over time the old course had shown signs of looking old, tired and unloved . What we have done is transform it into an amazing and exciting footgolf course. Months of back breaking work has gone into various elements. We have lovingly restored the old listed barn which is now full of charm and character making it an amazing club house for you to enjoy. We have landscaped the old golf course to make it suitable for footgolf. Including creating new footgolf fairways, new footgolf greens, as well as some interesting footgolf hazards. All in all we feel we are pretty much there in creating a fun and safe environment for people of all ages to come and enjoy. Whether that be having a fun round of footgolf, taking a walk, or simply putting your feet up and having a nice cuppa in the barn clubhouse. We plan to make Brighton Footgolf a goto place to hang out with friends, family and work colleagues.